Sunshine Through the Rain: Presents galore! The birthdays don't seem to stop! One day I will have to admit defeat and start buying some birthday presents, but in the meantime, I keep sewing! First up, a tote bag using an awesome Cat & Vee Panel. You can't really see the writing under the penguins, but it says 'We are family. I got all my sisters with me'. For the back of the bag I made a QAYG panel the same size as the front, and then just put them together with a lining into a simple, but large and useful tote. This was a 50th birthday present for a friend who walks alongside me here in this cross-cultural life I lead! Next a present for a friend who adores Hello Kitty, and who appreciates the value of Liberty of London fabric. The awesome Hello Kitty Liberty fabric came from Japan, thanks to Alyce going shopping for me! 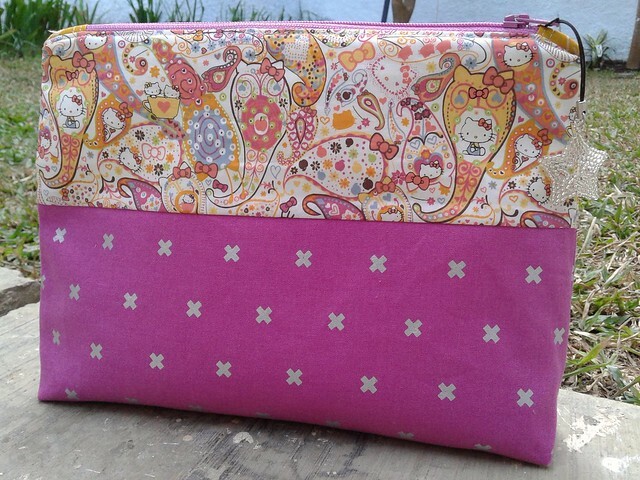 I used a great tutorial from VeryBerryHandmade for this flat-bottomed zipper pouch and have already cut out some fabric to make another one! Finally, a present for a 6 year old boy who knows everything there is to know about dinosaurs! 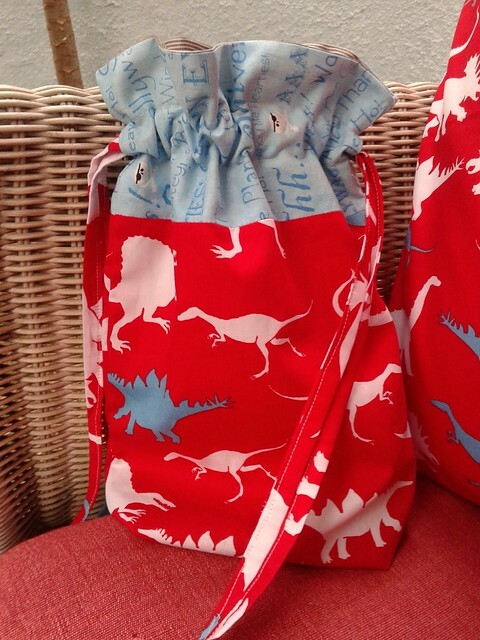 I spied this brilliant fabric at Spotlight in Singapore recently, and I know that dinosaurs and pirates don't really go together, but my sons thought it was fun! For the pillowcase I used a super easy tutorial from Strawberry Patch Ramblings, and the drawstring bag is of course from In Color Order. You've done a great job creating beautiful, useful and unique gifts. What a great zippered pouch. Thanks for the tutorial. Your children will always remember you as a very generous mum who made gifts for their friends! Very nice! OHhhhhhhhhhhhh what wonderful projects! I'm a huge fan of QAYG and scrappy patchwork, so that tote bag is a winner in my book :) I love making zipper pouches but have never seen Liberty fabric in person - the HK kitty print is particularly adorable :) I recently picked up half a dozen HK charms on ebay, in varying designs - I'm planning on using them for zipper pulls on my zipper bags :) I even have some HK ribbon to use - no HK fabric (yet) though! 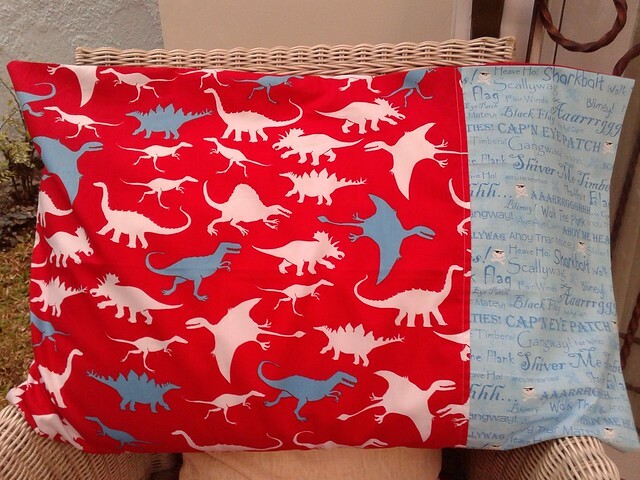 LOVE the dinosaur print, and have made many pillowcases - they make fantastic gifts. 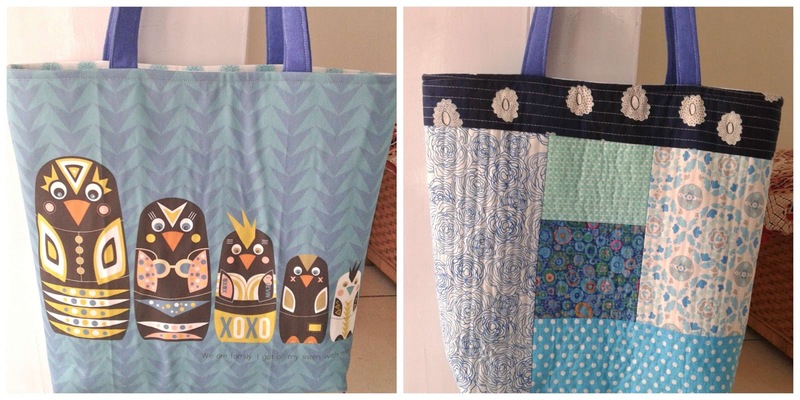 And I've made a ton of Jeni's drawstring bags, too (I even bought the pattern so I wouldn't have to math to get the other sizes, hehe) - your whole post is full of projects I could have made myself, lol! Great gift choices! 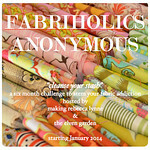 Great fabric chpoices for them all - QAYG is on my to do list - tote bags are lovely! OH MY! These are marvelous!! Some lucky ladies!! maybe you will have to give in someday, but in the meantime, they are really great presents! You always make the best presents!! I know the recipients will appreciate that they were made by you especially for them.